It is with a profound sense of sorrow that I report to you the passing of Reiko Okuyama. Ben Ettinger reports that she died in May, and only discovered this truth on Friday. Those familiar with this blog will already remember her as the firebrand pioneer who broke down doors for women animators in Japan, and as a crucial member of what I like to call "The Horus Rebellion." Next came the union's big film, Horus, Prince of the Sun (1965-68), in which Okuyama played a major part second only to Miyazaki in coming up with designs and drawing animation. She designed many of the female characters in the film, as well as their clothes, such as the little girl Mauni and the bride Pyria. She also animated numerous sequences, including the part where Coro arrives in the village and is chased by a lot of children, the scheming village chief, and even scenes of Hilda, such as Hilda in the rocking chair, Hilda holding Mauni in the meadow, and Hilda pushing Horus over the cliff. Mori did not correct her sections, so it should be possible to note some difference in Mori's and Okuyama's Hilda. Mori would have handled Hilda when she was experiencing complex, conflicting emotions, which he expressed masterfully in her expression, such as Hilda by the lake with Horus, whereas Okuyama handled Hilda when her expression could be more straightforward, such as Hilda throwing the axe at the village chief. Reiko Okuyama contributed heavily to many of our Toei favorites, many of which I've written about, begging and pleading for you to see. She was often joined at the hip with her husband and partner, Yoichi Kotabe, proving her considerable skills and indominable spirit on Puss in Boots, Animal Treasure Island, The Flying Ghost Ship, and later joining Kotabe as co-Animation Director for 3000 Leagues in Search of Mother. She also worked on the strangely overlooked Puss in Boots sequels (Puss 2 is considered criminally overlooked by Ettinger), and Toei's final moment of greatness, Taro the Dragon Boy - again with Kotabe by her side. Okuyama was also a fierce fighter for women's rights in the workplace, breaking down barriers to women in animation. She proved crucial in those years of the unions at Toei Doga, alongside Otsuka, Takahata, Miyazaki, and Kotabe. Her refusal to step down after becoming a mother in 1960 lead to battles with the studio, which threatened both her career and Kotabe's. But she and the union stayed strong, and they eventually prevailed, winning the rights of women to balance work and family without sacrificing their careers. Reiko Okuyama was also Japan's first Animation Director, with 30,000 Leagues Under the Sea in 1969, a title she in fact shared with three others. And she continued this role for the two Puss in Boots sequels, Taro, and of course, 3000 Leagues. By the end of the '70s, she had drifted away from animation, moving towards children's book illustrations - which was really where she wanted to be at the very beginning. It's only because of a misunderstanding that she ever applied for a job at Toei; she thought the "Doga" meant illustrating books. So she followed her muse for many years, as an illustrator, and as an artist. 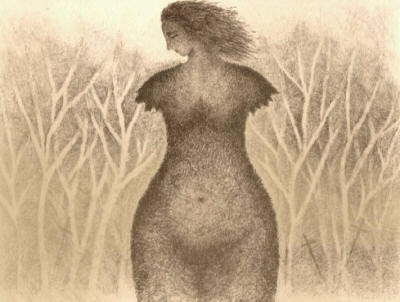 She became enamored with copperplate engraving in the mid-eighties, while she taught at Tokyo Designer Academy. It was this passion that would carry her through to the end of her life, with many appearances in art galleries and shows. 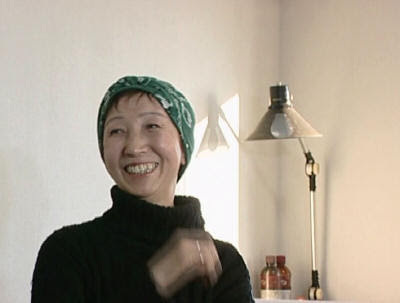 A lucky encounter with Tadanari Okamoto in 1989 led to her involvement in his independent animation The Restaurant of Many Orders, and this sparked a reawakening that finally culminated in her triumphant comeback in 2003's anthology film Winter Days. For her short, she once again paired up with Yoichi Kotabe, this time incorporating her copperplate artistic style, and revealing a maturity and emotional depth never seen before. It remains one of her greatest works. Like many of you, I was hoping that Reiko Okuyama could have created more works in this vein. It was emotional and vital, and spoke to the hopes and sorrows of womanhood, and of life. Sadly, it has become a perfect tribute to her passing; a celebration of her life, and a liberation of her spirit. Her loss for animation and the world is enormous, and she will be sorely missed.